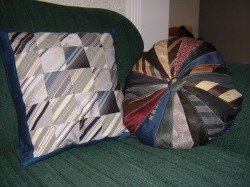 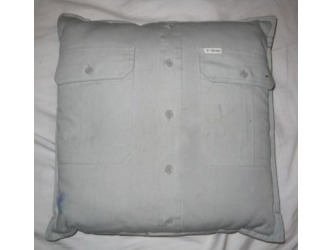 I made the square cushion from my Uncle Roland's ties. The round cushion was made by my Grandma Marginet, probably sometime in the 70's from my grandfather's ties. 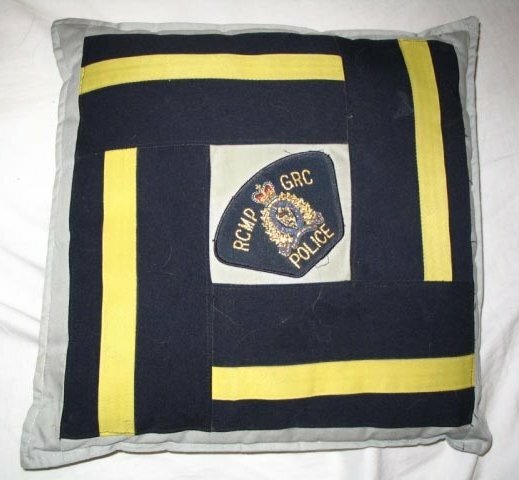 I made this for Rick's birthday just months after he became one in the first group of Auxiliary RCMP officers in the Province of Manitoba. 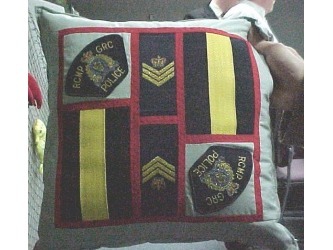 He stayed with the Auxiliary program for 13 years. 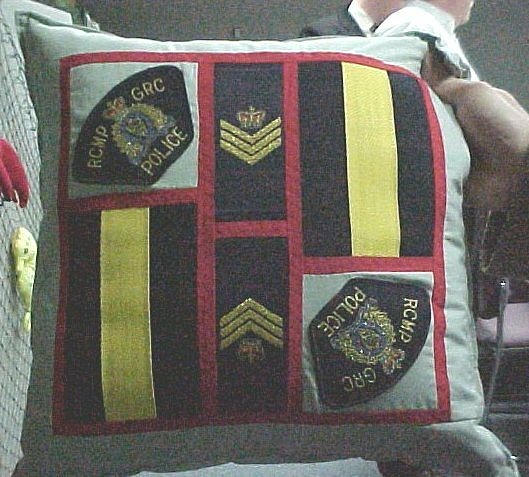 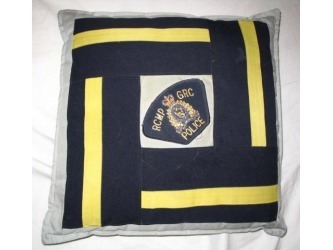 It is made with actual RCMP uniform pants, shirts, and red serge fabric and has RCMP insignia sewn on it. 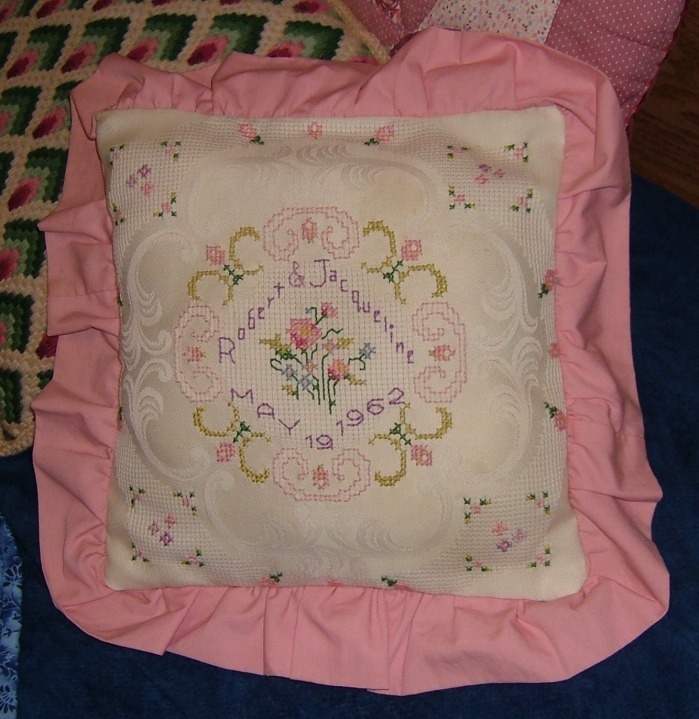 I made this for Mom and Dad's 25th anniversary in 1987. 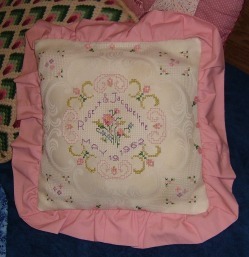 The bargello cushion in the back is one my Grandmother Hacault (mom's mom) made. 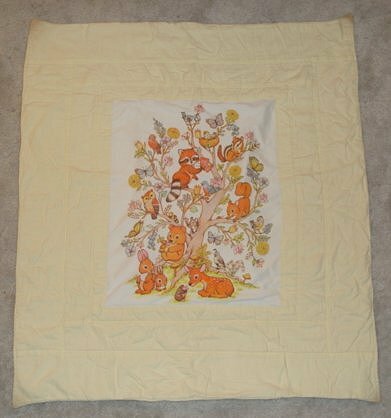 1987 Nicole's baby quilt. 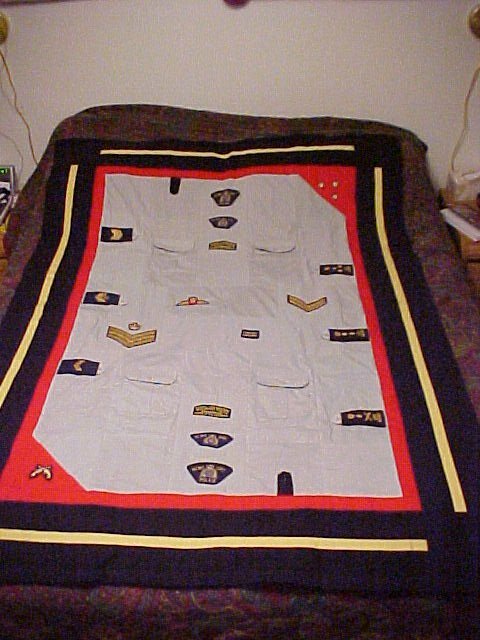 This is the first quilt I made. 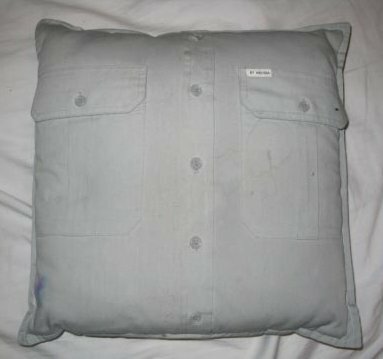 It was well used. 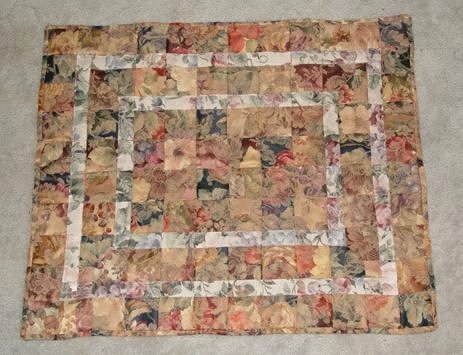 You can see she liked to chew the corners as they are all stained. 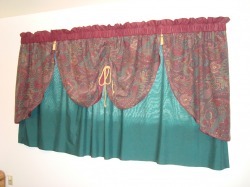 I made these bedroom curtains somewhere around 1997 I figure. 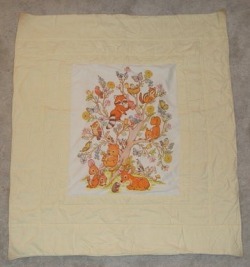 The bedspread I bought (this is before my quilting days) didn't have matching curtains to fit my wide window. So I bought the matching round table cloth and cut it in half, and then cut one half in half again. I then sewed a curtain rod pocket on it, added some tassels and cinched a cord down the centre to create these curtains. 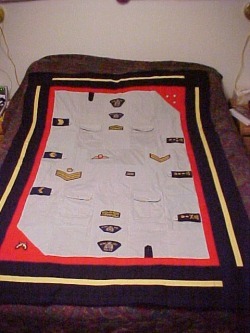 They are also completely lined.